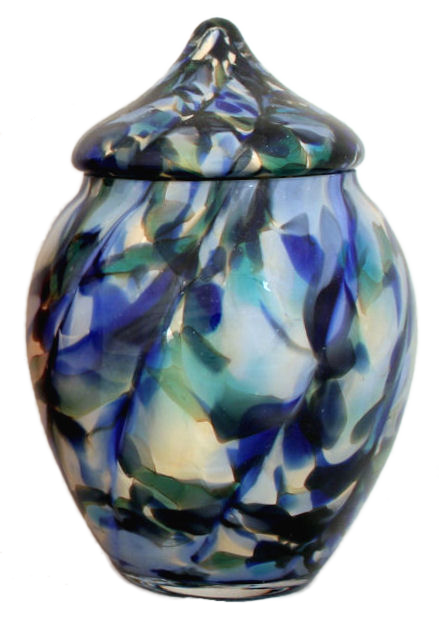 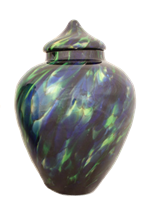 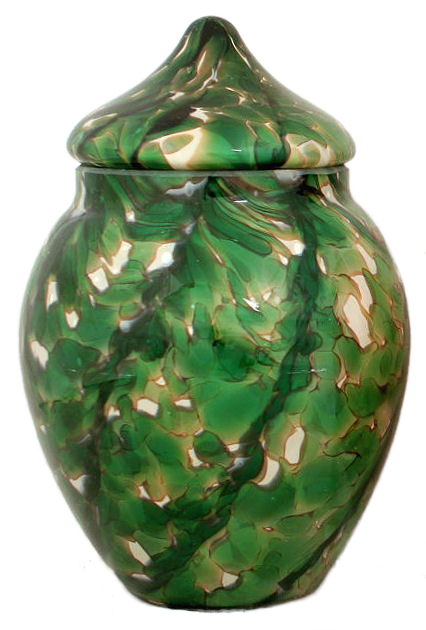 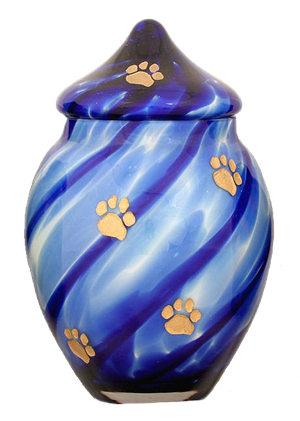 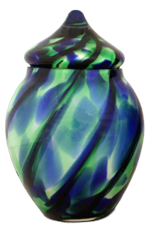 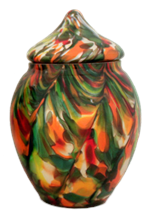 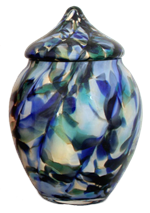 The Livingston urn comes to you in a variety of colors to suit any style or decor. Made of hand blown crystal, each is truly a one-of-a-kind masterpiece. Comes to you in seven different colors: Eclipse, Emerald Splendor, Fall Mix, Ocean Blue, Rosaline Splendor, Spring Pastels or Cobalt Swirl. 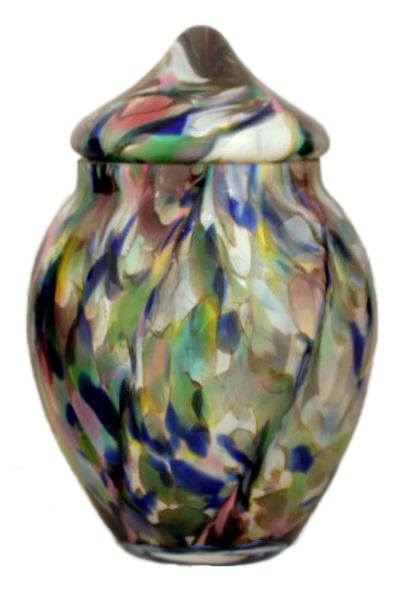 colors in gold, silver or black/gray. 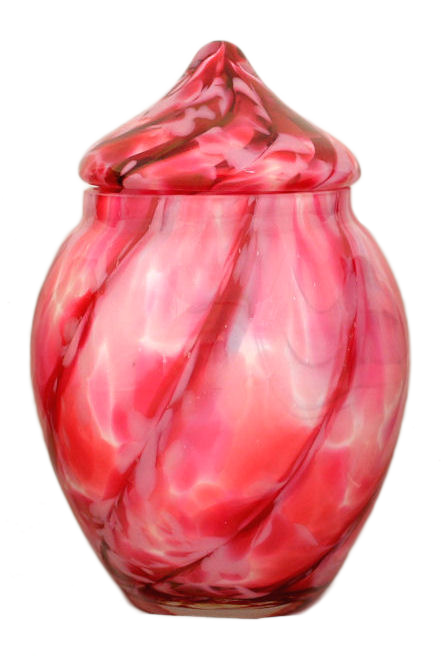 once filled using silicone adhesive (not included). Colors will vary slightly from those shown.